In 1991, nine friends came together to sing a few Christmas carols at Angel Underground Station hoping to raise a few pounds for the Terrence Higgins Trust. London was in the midst of the AIDS crisis and the men, who belonged to a social group called London Friend sang together to find a place of support, of friendship and of brotherhood. Little did they know what they had kickstarted. 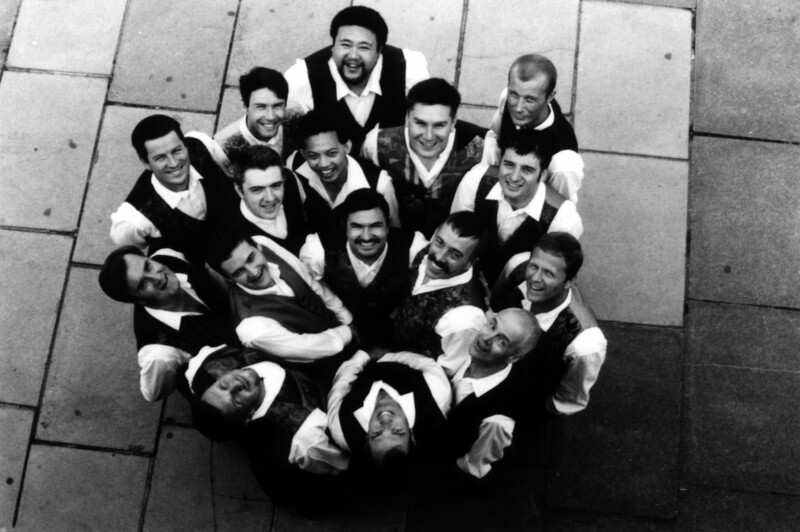 Fast-forward 25 years, and this once small band of singers now calls itself the London Gay Men’s Chorus. 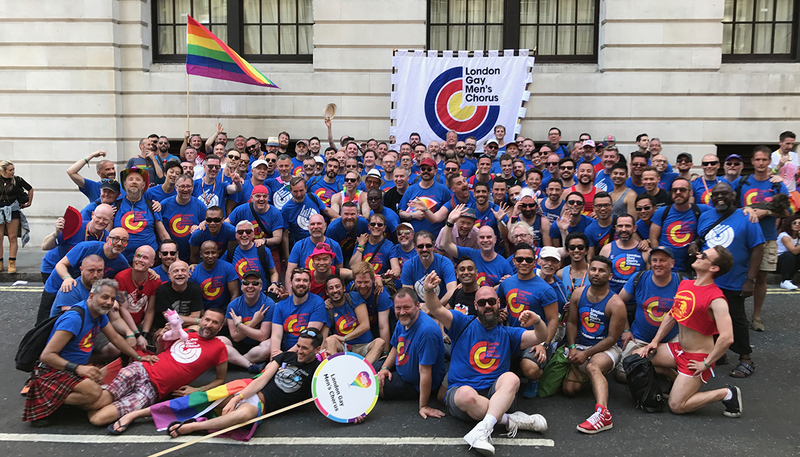 Boasting over 200 members, the LGMC is the largest gay choir in Europe and regularly plays to sell-out crowds at Southbank Centre, Cadogan Hall and the Roundhouse. Over the years, the chorus has been lucky enough to have worked with a diverse range of artists including pop stars Mark Ronson and Elton John, soprano Lesley Garrett, country legend Dolly Parton, musical theatre star Hannah Waddingham, actor Simon Callow and comedienne Sandi Toksvig. The LGMC has also appeared on Children In Need, Comic Relief, The One Show, The Graham Norton Show and Top of the Pops. believes that a diverse society is a strong society; that all people, regardless of sexuality, are equal and should be treated as such and works with other community groups and individuals who share our vision. We perform 2 major concerts each year in and around the London area. We don’t have a ‘fixed’ venue and can be seen in various places around the city. For the most up to date list of of shows, take a look at our Performances page. Our Education & Outreach Programme is key to our mission to aid in the eradication of homophobic bullying in schools. Started by John Carrion, this programme has already impacted over 1000 students around London. Read more on our Outreach page. From Corporate Events to Civil Partnerships and Weddings, we get involved wherever we can. If you’d like more information on hiring the Chorus, take a look at our Hire Us page. From Various Voices and Hand-in-Hand to performing with other choirs around the world, we collaborate with many talented people around the globe to ensure musical excellence. Take a look at our upcoming performances.